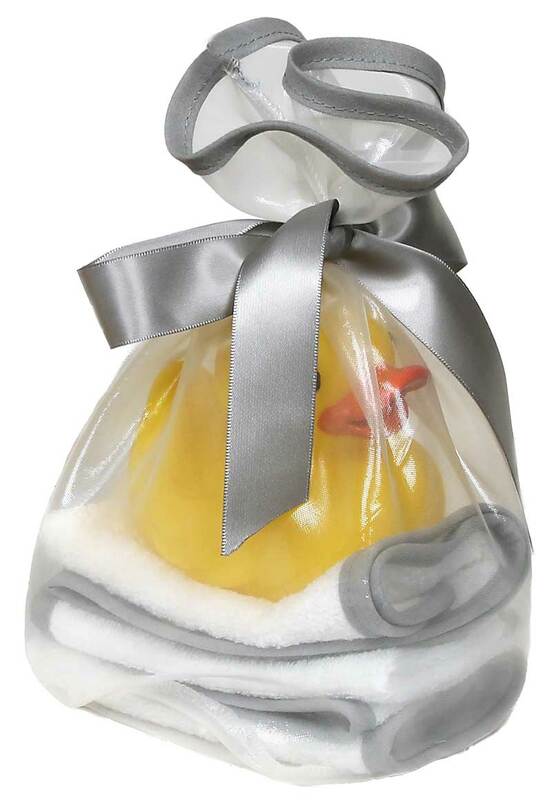 Babies take a lot of baths and need to feel warm and comforted and all wrapped up in love! 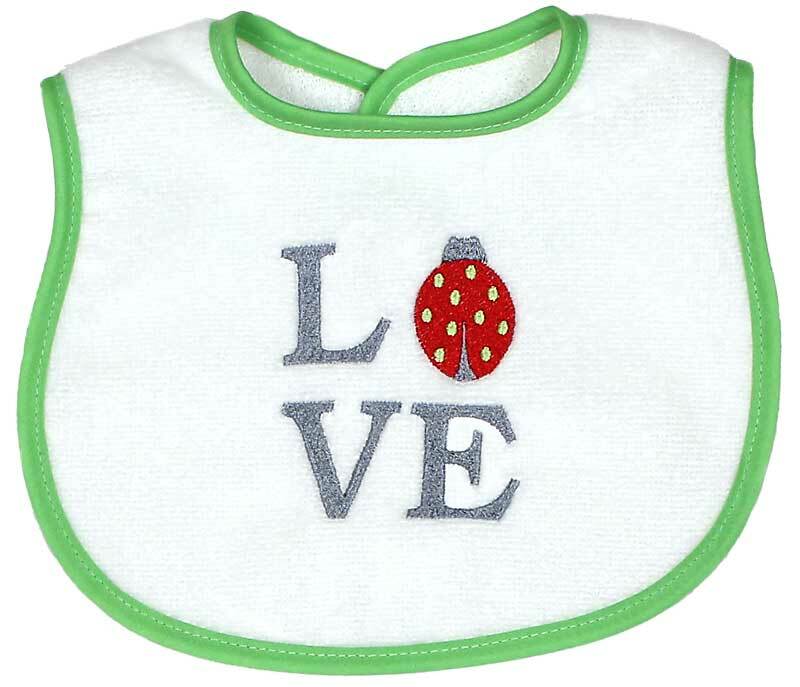 This "Loved" embroidery, print hooded towel is packaged in it own carry bag and perfect for traveling or at home. 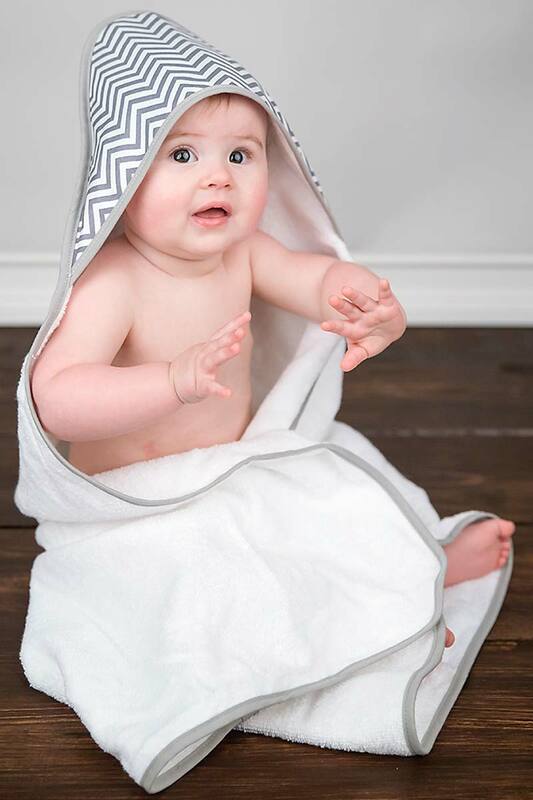 Our 100% cotton terry cloth is super absorbent, because there is no polyester in our fabric, and super soft against baby's delicate skin for this same reason. The modern printed fabric hood adds a lot of contemporary style and is lined with soft terry cloth. This long lasting gift can be used for newborns up to 3 or 4 years old. The bag is re-usable....the perfect size to store bath lotions, soaps, small toys, socks and more. 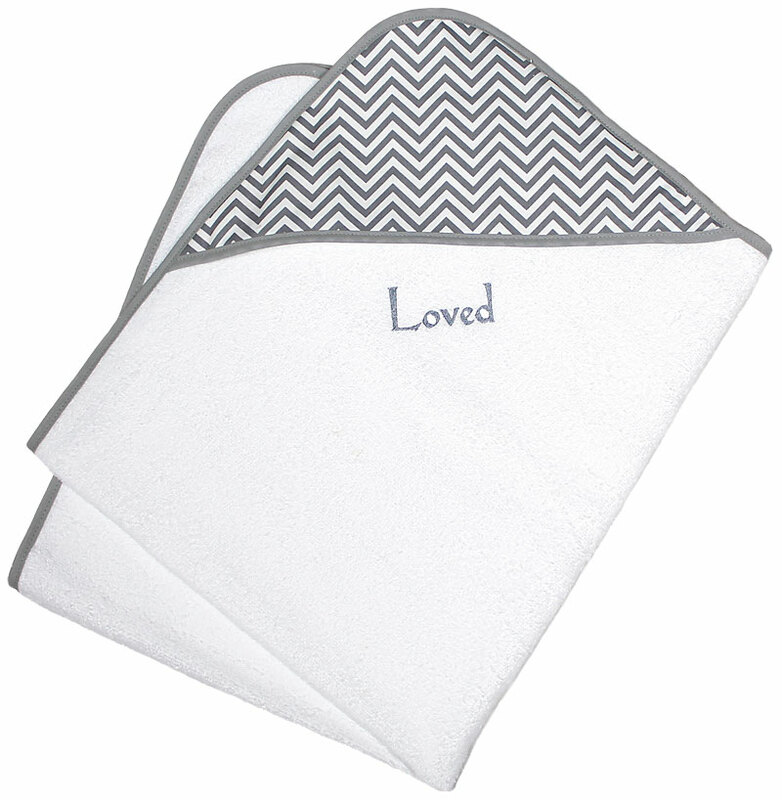 There is a matching silver kiss wash cloth set that can add to the gift. This chevron print style is for boys or girls and it is available in a multi chevron print, a whales print, a cherry chevron print, and a bird print for boys and a cotton candy chevron print, a multi chevron print, a whales print and a bird print for girls, too. 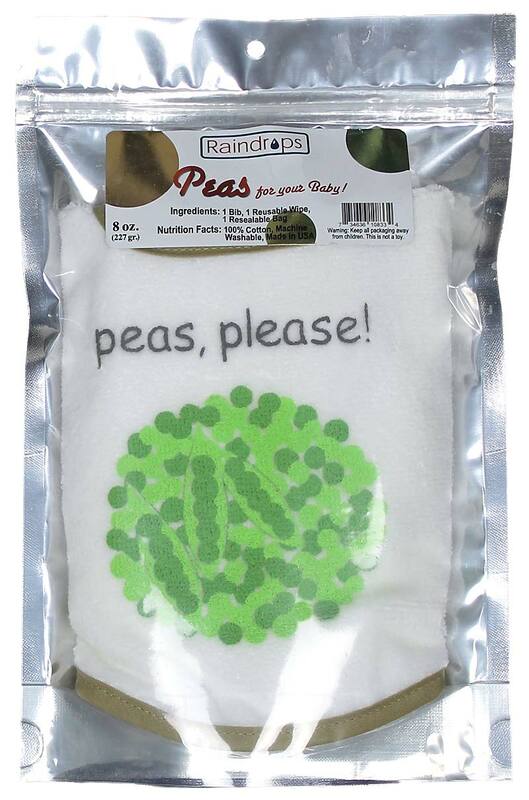 Embroidered hooded towel, with multi print hood, measures 28" x 34"